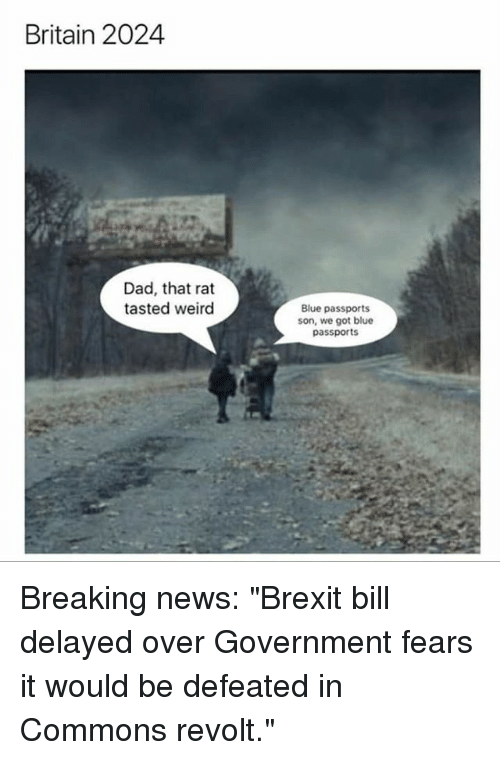 did you know that in the event of no deal, any extra months on your passport over and above ten years ( eg if prev you renewed it early and the remaning months were added on) will not count towards the six months you will need remaining on it to visit a country in schengen? my passport expires feb 2020. It was issued june 2009, so it had 8 months added on. I will be unable to use it after 29 March in schengen if no deal, even though it is supposed to be valid until Feb 2020.
i return from france 18 March ( thank fvck i avoided returning to uk on brexit weekend). I then have until 3 May before I have to go to spain. What are my chances of getting it done over the month of april?? And what a swizz, losing nearly a year of its validity. Just do the premium service and you can pop over to the office after work and collect it same day. fool, its on the gov website for passport renewal. Someone mentioned it today, i had been going to renew in june, good job i checked. Ah, ok. Schengen rules require the document to have been issued within the last 10 years and be valid for 6 months. That makes a degree of sense. I did the online passport renewal thing in January and it was super-smooth and took about 10 days (and 3 days of that was my delay in not sending my old passport in) - and that was the "normal" service not the expedited service. I just did a first passport for our new baby and they issued it in less than a week. Would be tempted to just renew now before whilst the home office is still working properly. I did considrf that but go8ng to france on march 10th. By the time i sort out photos i’ll still be running short of time. im pleased it was so easy for you tc, that is encouraging! I had heard they were not adding on extra months anymore. I hadn't realised that your passport could be considered expired for certain countries before the end of validity. That's really odd. They will eat your firstborn in front of you post-March 2019 too apparently. Best go for a cottage in Cornwall tbh.